Pros and cons of driving a 2005 Tucson. This car is very nice and does get you from point A to point B, but do not expect anything more. This car cannot exceed over 65 mph, it will begin to shake very loudly. In general, the ride is very bumpy and not smooth at all. Acceleration is not well, so it makes it more dangerous to merge into lanes. The gas mileage is not well either, it will cost around $35-$40 to fully fill up, this will last me a week and a half at most. Positives would be that there is a lot of space in this car, you do not feel confined to a small area. The color is nice in my opinion, my car is a light blue color. 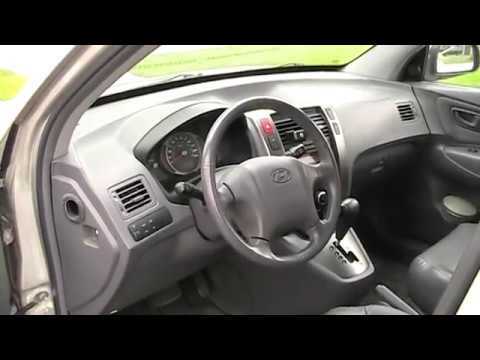 The Tucson Hyundai: dependable, economical and fun to drive! I bought my Tucson new in 2005 and have no problems with it at all. I have always done all the recommended maintenance and regular 3000 mi oil change. The 6 cyl. Engine has performed great. And the ride is comfortable for a small SUV. I do wish the towing capacity was higher, its rated at about 800 to 1000 lbs. The leather interior is still very nice and have never had any electrical problems. I rate this little SUV an 8 on a scale of 1-10. Smooth ride for anyone that like you travel great on gas. I have experienced some censor problems making the check engine light come on. I have had to replace carburetor it gives great performance I enjoy the comfort of my car. It is reliable great for travel. Good on gas. Except for usual wear and tear it is a great car. I like the space in the back it also have plug in for camping. Cruise features a back window wiper. Bluetooth hookup for your computer.